Truss Edge is ideal for ETFs and other passive investment funds. Use our unique front and middle office solutions for your exchange traded funds. Truss Edge dynamically manages data within the ETFs portfolio using a single platform. The intrinsic flexibility of our technology allows it to manage a broad range of underlying instruments and strategies, including thematic equity, leveraged equity, long/short ETFs and commodity-based ETFs. Why Use Truss Edge For Your ETFs? Analyze and manage tracking errors, VaR, counterparty exposures and day to day UCITS V requirements. Link directly to ISDA counterparties for executing synthetic ETFs. Daily or hourly record of ETF data reconciled to your administrator’s NAV and broker statements. We are happy to work with multiple and interchangeable counterparties and authorized participants. FIX connectivity for order execution for physical ETFs and at the market pricing. 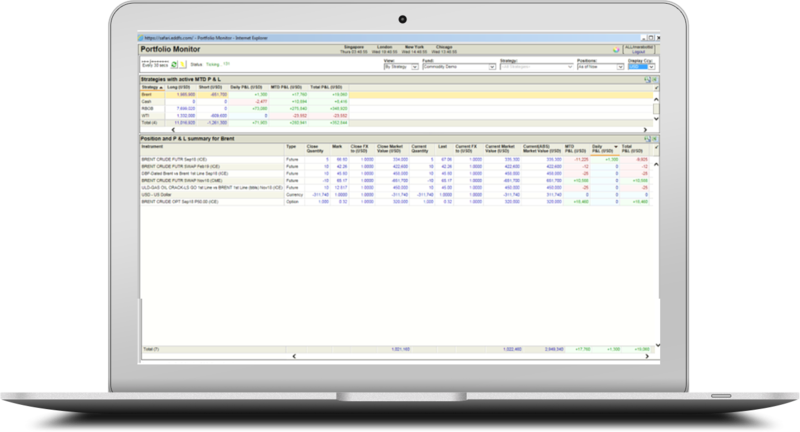 Online access to highly transparent reports configured to the requirements of ETF reporting. Support from an experienced team of fund professionals who understand the operational and reporting requirements of ETFs. We have worked with some of the most successful ETF firms and understand their need to work around the latest models. Our track record in this market means we understand the outsourcing needs facing ETF managers and the ever more demanding reporting and regulatory policies they must grapple with. We are comfortable working with early stage ETF managers, or established asset managers seeking to launch their first ETF products. You can leverage the operational expertise of our teams, and our reporting templates and procedures that have been established over years of experience. Truss Edge is called on by ETF managers to support a slick and fully automated STP operating environment. We can be your technology partner, helping you to manage orders and data in a highly automated environment and reducing costs across the entire order management and reconciliations environment.